The Universal Audio UAD-2 Satellite Thunderbolt Octo Ultimate 7 brings the power of UA’s most powerful DSP box including 99 UAD Powered Plug-ins. The Universal Audio UAD-2 Satellite Thunderbolt Octo Ultimate 6 provides eight SHARC processors on a thunderbolt powered desktop box. 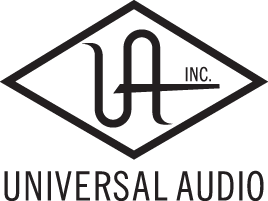 The UAD-2 Octo Ultimate 7 bundle provides 99 plugins including some of the best emulations of legendary hardware processors by Ampex, EMT, Neve, SSL, Manley, Fairchild, Studer and more. The UAD-2 Ultimate 7 works with Mac OSX and Windows 7 and come in VST, AudioUnits, RTAS, and AAX.